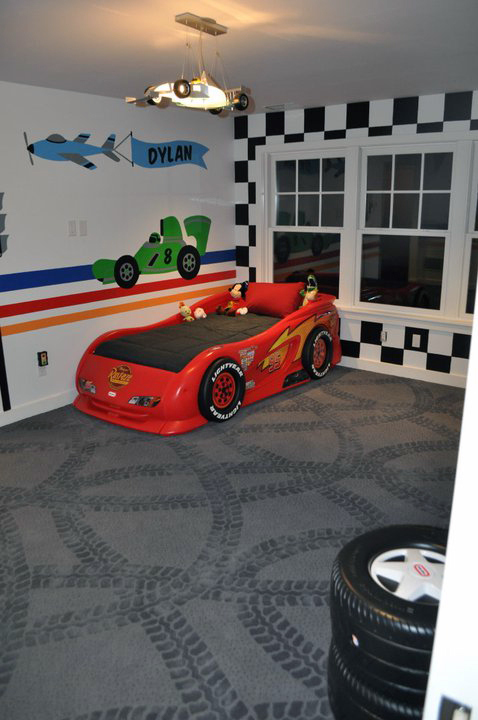 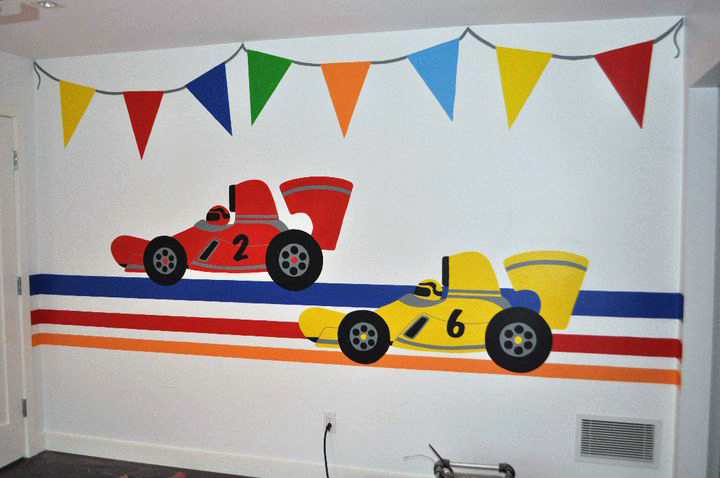 To paint a playful boys bedroom in the theme of race cars. 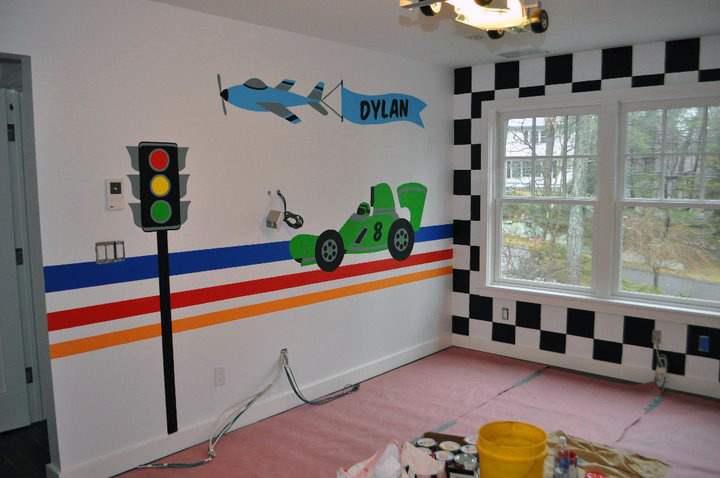 The challenge was keeping the bedroom open and bright without overcrowding the walls with imagery. 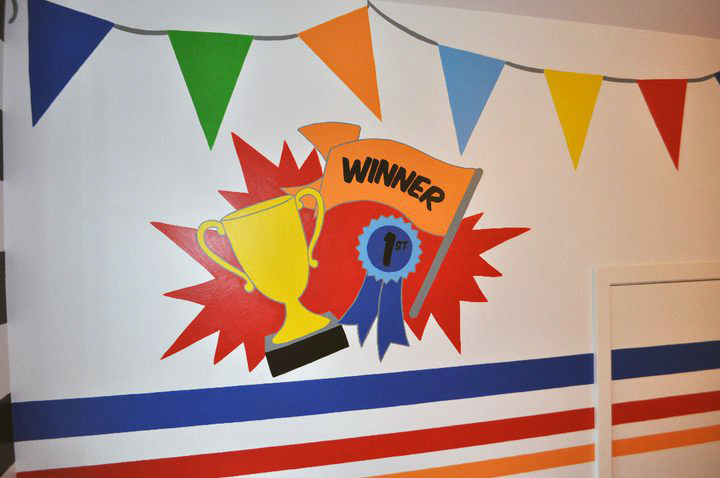 I strategically placed the icons to create balance as the stripes linked the walls together.